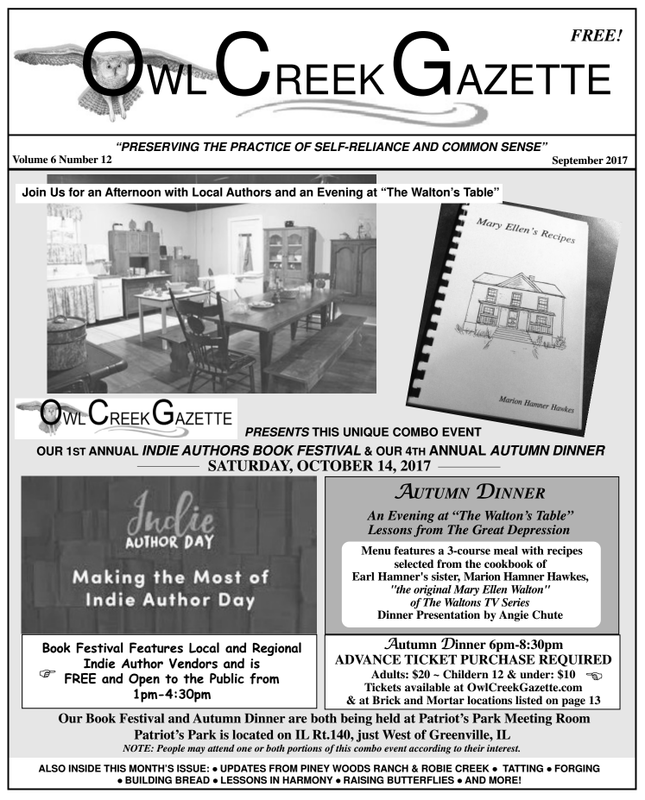 Owl Creek Gazette: The September 2017 Issue of the Owl Creek Gazette Features Our Upcoming Book Festival, Autumn Dinner and So Much MORE! 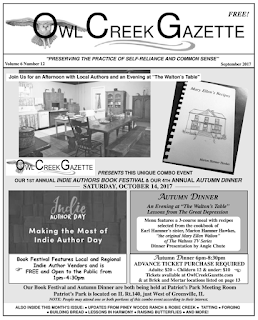 The September 2017 Issue of the Owl Creek Gazette Features Our Upcoming Book Festival, Autumn Dinner and So Much MORE! 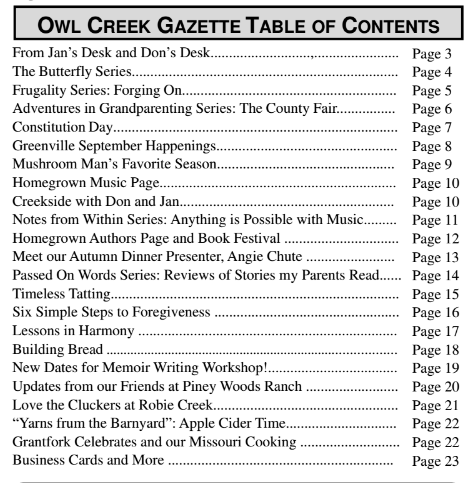 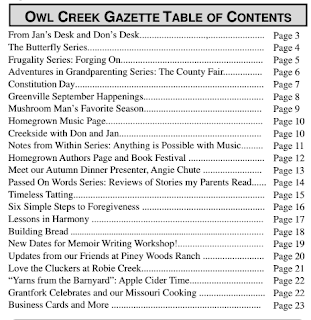 Check out this month's issue of the Owl Creek Gazette in print and available throughout 12 counties in Illinois (locations where the OCG is available for pick up are published on page 2) -- or give the magazine a read online via our Current Issue page !